It's that time of year – pet owners are looking for any way to help their canine companions beat the summer heat. Some dogs enjoy a trip to the lake for a swim, but how do you help a dog that doesn't enjoy the water or if you stay at home often? A dog cooling mat is an easy way to give your pooch a break from summer heat and prevent heatstrokes in dogs. While summer is fun for us, it can be very taxing on dogs. Most dogs are not able to cool themselves as effectively as humans can through sweating, and panting will only get them so far. This poses a serious risk of heatstroke and hypertension in dogs. Avoiding summer heat dangers is a very good reason to provide your pet with a cooling pad. 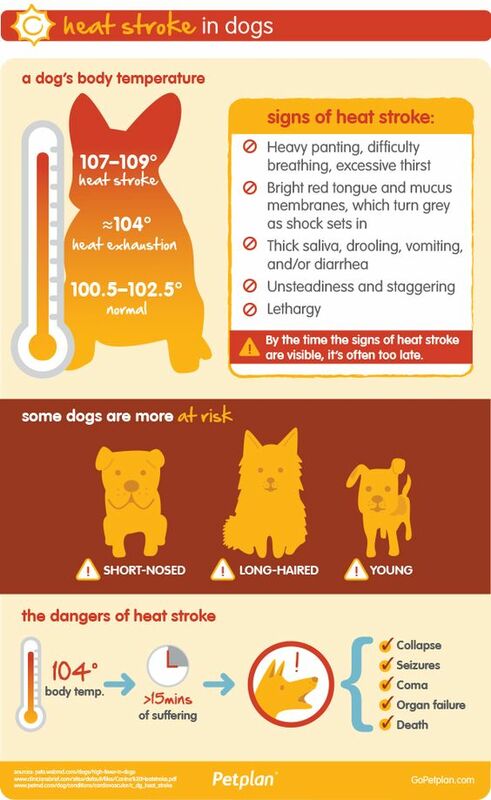 When the mercury rises and the temperature outside and inside gets too hot for dogs, aside from a heatstrokes and hypertension, dogs can suffer also from other heat related illnesses. When dogs are left outside in hot weather without the proper supplies and a way to relieve themselves from heat, the heat exhaustion and dehydration can pose fatal danger. Before we get into discussing the best cooling mat for dogs and how it compares with the others, let's discuss some important details about the way a cool mat for dogs can actually help your pet, why pet owners in warm climates should invest in one, and how to choose the best dog cooling mat for your dog. What's the purpose of the best dog cooling mat? Dogs cannot sweat, making them less effective at cooling themselves in high temperatures. Veterinarians warn that a heat stroke can be deadly to a dog, and pets are most at risk when they are not provided with a way to cool themselves down, with dog pools or dog cooling pads being most effective options. Sadly, pet owners are either unaware of dangers, or don't know how to relieve dogs from heat. Some ways to prevent heat in dogs. While some of these tips on how to help a dog in summer heat are obvious, not every pet owner know all the available options for dog cooling supplies, and that a cooling mat for dogs is not the only choice you have to give your dog a break from high temperatures. Here's what you need to know. What are other ways to cool the dog in summer? There are several products you can provide your dog with other than cooling pads or towels that will provide your Fido with some cooling relief. The cheapest option is simply finding a shaded area, placing a a plastic container or tub (big enough for your dog) with cool water in it. Your dog will love you for it. If you can invest a little more, then some additional options open up – from very expensive solutions to fairly affordable, long-lasting options. Using cooling mats is the easiest and most cost-effective way to ensure the dog always has access to something that will cool him down quickly. 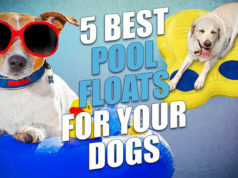 As for alternatives to these best dog cooling mats, some of them include big home dog pools (most expensive), or small paddling pools for dogs (reasonably priced), or even dressing up your dog into a cooling vest (for travel). It's also a good idea to encourage your canine to drink more water, since many pets may not be aware of dehydration and often forget that they are thirsty. Dehydration is a real problem for dogs in summer. Homeowners with backyards who'd like to give their dogs relief from summer heat may look into backyard misting cooling systems (expensive) that are safe for pets – much better and more fun than a simple hose. Further precautions to prevent heatstroke and overheating in dogs in summer are no less important when traveling. It's a known fact that dogs' body temperature rise quicker than that of humans, which presents danger in enclosed space (like cars) in summer heat. If you travel a lot with your dog, consider installing a dog-friendly cooling car fan (cheap) as well. When the summer weather gets really hot, it's best to leave your dog inside if possible, in the room with the best dog cooling mat and air condition would be good. If you have no options, you can leave your pet outside, but he needs adequate shelter from the sun. As noted below, some of the best cooling mat for dogs brands can also be used outside and continue to provide your dog with cooling relief (although not as effective as inside if the sun's out). How to choose the best cooling mat for dogs? Automatic dog gel cooling mat – This is the most popular, most effective and most costly option among all listed best dog cooling mats for dogs. An automatic dog gel cooling mat is pre-filled with a cooling gel that is normally lower than the outside temperature by 5-10 degrees and it comes with a technology to provide continuous extra cooling for a period of time it's charged for (3-4 hours). Water-filled dog cooling mat – A very simple yet still effective option, many pet owners choose a water-filled dog cooling mat because they do not trust the technology of self-recharging dog gel cooling mat. For this one, you simply fill the mat with water and then place it into your refrigerator or freezer. The only con is that you need to refrigerate the mat and that there's water residue as the mat defrosts. 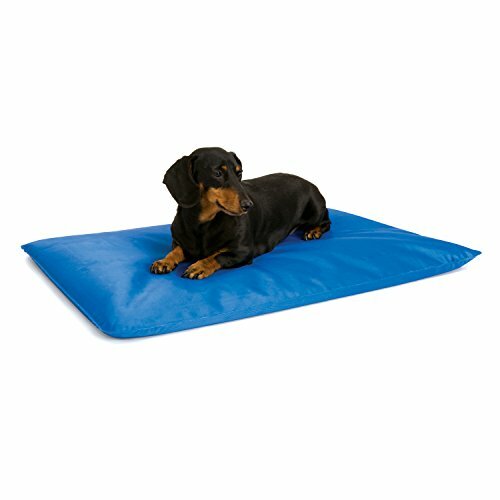 Simple gel-filled cooling mat – The cheapest of all best dog cooling mats, this is the least effective option but may be good enough for pet owners on a budget and in places where temperatures are not extremely high. This is a simple dog gel cooling mat which is similar in the design to the automatic cooling mat for dogs, but it doesn't come with a technology for extra cooling. It simply maintains a lower temperature than the outside, usually by 5-10 degrees. It's a good option for small dogs. We've ranked automatic technology as the best cooling mat for dogs due to its effectiveness and convenience. The Green Pet Shop were the first to came up with a new technology of an automatic dog cooling mat that self-recharges. Some other companies later took over their concept. Their product is pressure-activated mat that automatically recharges after 3 hours of use (recharge time 20-30 minutes). This is a more affordable option since it's cheaper than some other dog cooling mats by about $20, yet it's more effective than your regular simple dog gel cooling mats. However, it's recommended mostly for indoors and if your temperatures do not hit very high levels (e.g. July in Nevada). Overall, it could easily be another good cooling mat for dogs choice except for a few drawbacks (mentioned below in review). Finally, pet owners who'd rather avoid the below mentioned cooling pads for pets due to their high cost can choose to make their own DIY dog cooling mat. You'll still need to invest some money into this, but overall, depending where you shop for the items, it can come out cheaper than an automatic gel dog cooling mat. There are only a few supplies you'll need for that, and the internet is full of DIY guides. Sewing a DIY dog cooling mat. Armed with these, you're ready to make your own cheap dog cooling mat that will work similar to water-filled dog cooling mat, except that you'll use soft ice packs. For directions, I recommend you browse some DIY sites which are often full of ideas on DIY dog cooling mat and a lot more. With that out of the way, we can take a look at top rated dog cooling mats, pros and cons when compared to other brands, and several alternatives that may be cheaper and more affordable. The first on the list of best dog cooling mats is this high-quality pad from Arf Pets. 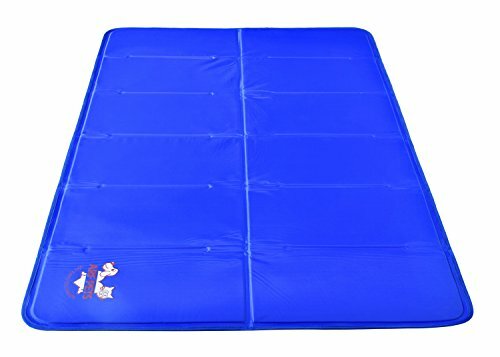 This is an automatic dog gel cooling mat that doesn't require any electricity and is recharged automatically after 3 hours of use. It fits perfectly to most kennels, dog crates or works as a cooling dog bed. It's very lightweight, safe, and easy to clean. This is one of the most effective cooling mats for dogs brands due to the fact that it's tech powered for the extra cooling. The mat's cooling effects last for three hours on average, and then recharges in only 15-20 minutes without electricity, water, or refrigeration. It absorbs dogs’ body heat and keeps them cool with its gel interior. This best dog cooling mat can be used indoors and outside. Its nylon construction is ideal for health or environmentally conscious customers, as well as those looking for an easy-to-clean option. Not only do pet owners love how satisfied their pets are with this product, they also love how easy it is to move (it is lightweight and folds up nicely) and clean (especially helpful for dogs that drool!). Dogs that are constantly hot or panting to stay cool are able to enjoy the coolness that the Arf Pets Dog Self Cooling Mat Pad for Kennels, Crates and Beds offers. The gel provides extra comfort in the form of cushion for older dogs or dogs with arthritis or other painful bone and joint conditions. As with any item, be sure to supervise your pet when this mat is out. Although it is difficult to puncture, it is possible, especially when chewed on or stabbed with sharp nails. That being said, if you have a young puppy, you definitely want to think twice about leaving him or her alone with this mat. Overall, even if not without its flaws, this is the best cooling mat for dogs at the moment. The second on the list is the already mentioned brand with a new technology. This impressive self-cooling pet pad from The Green Pet Shop also requires no electricity, refrigeration or water to provide a cooling effect for your dog. It's good for up to three hours of constant use! It takes only 15-20 minutes to “recharge,” and it is reactivated by the weight of your dog. As he or she lies down, the pad automatically starts it cooling effect. This best dog cooling mat folds, making it easy to transport or store. Cleaning it is a breeze due to its vinyl cover. It is non-toxic, meaning it is safe for pets and people. Customers seem to really appreciate that this mat does not require water or any messiness to activate, making it extremely easy to use. In fact, it is ready to use as soon as it comes out of the box! Dogs (and other pets) love this best dog cooling mat during the heat of the day or to sleep on overnight, as it keeps them cool and comfortable. Dogs that prefer to lay on hard tile over carpet, trading comfort for coolness, can have the best of both worlds with this product. If your dog tends to chew or destroy things around your home, you may not want to leave The Green Pet Shop Self-Cooling Pet Pad accessible when you are not around to monitor. Obviously, it can be torn up (as most things can) by bored dogs. Some customers claim this product does not work at all, expecting it to be ice cold to the touch, which is impossible and not the goal of this product. The gel pad inside the mat may shrink after storage, according to a few pet owners. Others have not had this issue and are able to use it for years without any problems. While it may not be as cool as something you just took out of the freezer, the reason it ranks as the second is due to its convenience and continuous cooling that doesn't require work. Third one is a completely different design – a water-filled mat which you'll need to freeze for the extra cooling effect. The idea is straightforward: simply add water to this bed so that your dog can experience the cooling effect it offers! No electricity or refrigeration is needed to activate, as the unique cool core from K&H diverts liquid for its cooling power. 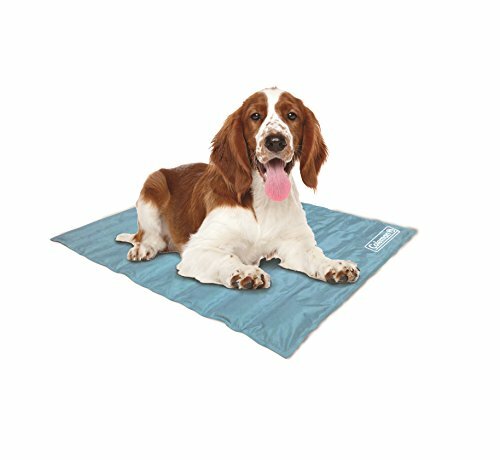 This best dog cooling mat has a nylon/vinyl exterior that is tough and can be used both indoors and out. If you're planning to use this best dog cooling mat outdoors, the company recommends using it in the shade, as the bed uses the outside (or room) temperature to cool the dog. Dogs love this cooling bed, and pet owners highly recommend the product, especially for dogs that have arthritis, get overheated easily or simply need a cool place to lay on a hot summer day! Dogs are able to sleep more comfortably and definitely prefer it to the cold tile floor, as it resembles a water bed. The K&H Cool Bed III Cooling Dog Bed is also said to be very durable, lasting for years and years. Pet owners can appreciate the fact that this bed does not include any gel, as it only uses water to keep a cooler temperature. Because it gets quite heavy when full of water, it is not easy to transport around. Rather than moving the bed to different rooms, it may be easier to buy more than one. If your dog is a chewer, don’t leave him unsupervised with this bed (or anything, for that matter!). Although it is extremely durable, heavy chewers may be able to chew through the material. Fourth one of the list of best cooling mat for dogs brands is a much cheaper option, suitable best for small dogs. Available in just one size and colors of blue, silver, green and red, the Coleman Comfort Gel Pad is a great, lightweight option for pet owners looking to keep their dog cooler throughout the hottest times of the year. 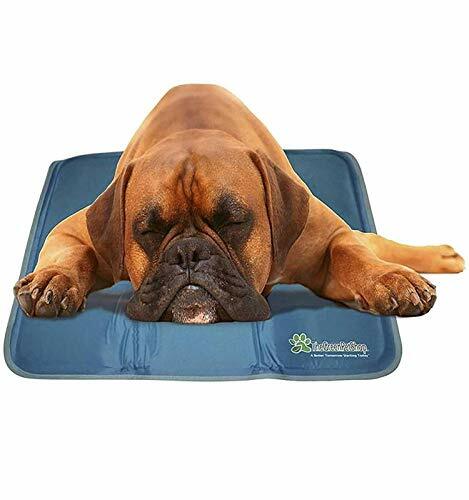 This best dog cooling mat stays 5-10 degrees cooler than room temperature, does not require refrigeration or electricity and features non-toxic gel inside. The company suggests using this pet bed alone, in a pet bed, or in a pet carrier to keep your dog(s) cool and happy! Dogs and pet owners both love these mats, and pet owners often end up ordering more than one. Customers appreciate how easy it is to wipe clean and its overall durability. Dogs are able to cool down quicker after walks or being outside, and they are able to sleep without overheating or becoming uncomfortable. 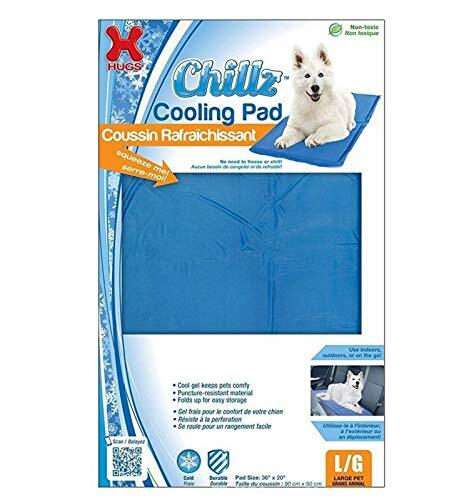 Customers say the Coleman Comfort Cooling Gel Pet Pad Mat is great whether being used indoors or outdoors, as it is always cooler than its surroundings. Some people mention that the pad is smaller than they expected, so be sure to pay attention to the size, which is listed in the product description. That being said, dogs don’t seem to mind, even if it is too small for them, as they still lay on it and enjoy the cooling effect it has! This fifth best dog cooling mat contains pressure-activated cooling gel, which keeps pets comfortable without refrigeration, adding water or electricity. It is available in three sizes (medium, large, and extra-large), and works great in your pet’s bed or kennel. This cooling mat from Hugs Pet Products is lightweight and portable, and it is made for indoor and outdoor use. The non-toxic gel can put pet owners’ minds at ease, especially when purchasing for a dog that tends to chew. If your pet has joint pain, this product is worth looking in to for the extra comfort it provides. Pet owners are happy with this purchase, as it does a great job of keeping their pet(s) cool and comfortable for hours and hours! Most pet owners are happy with the puncture-resistant material, and most claim that even sharp nails can’t pierce the fabric. Dogs tend to seek out the Hugs Pet Products Chilly Mat Comfort Cooling Get Pet Mat. Owners claim they choose to lay on them over any other location. The great price makes it a no-brainer to buy more than one, rather than dragging the mat from room to room so your dog has a cool place to lie while spending time with the family! Most of the negative reviews are from pet owners whose pets chewed these mats while unsupervised or punctured them with their nails. As previously mentioned, the material is supposed to be puncture-proof, so be sure to keep your pet’s nails trimmed and always supervise your pets if they tend to chew. Other customers mentioned that they were unhappy with the length of time this mat stayed cool. This last pet cooling mat for dogs rounds up our list of five top rated brands. The above five mentioned best dog cooling mats have been very popular among pet owners due to their build quality, features and functionality. However, the number one mentioned best dog cooling mat is one of the most expensive options as well. The Whalek cool mat for dogs is a slightly cheaper option as the Green Pet Shop dog gel cool mat listed above. 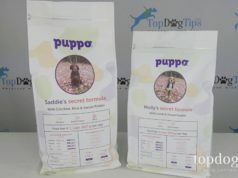 The concept is virtually identical, however, unlike the second brand, many pet owners found this to be less effective. This could be due to lower quality materials since the product is manufactured in China. However, this company offers a money-back guarantee, which is a huge plus. Another good and cheap dog cooling mat alternative is from a new company isYoung. This is a newer product on the market so it's yet to go through rigorious testing, but so far, this cooling towel has proven to be very effective for small dogs. The design and materials are similar to some of the some of the cooling pads mentioned above, but the price tag is slightly lower. American Kennel Club is the most known brand among all the best cooling mats for dogs listed here, and their AKC dog cooling mat has been tried and tested by hundreds of pet owners so far. The results are mixed reviews, mostly due to the fact that while it works for small dogs and moderately hot temperatures, this dog gel cooling mat isn't as effective as some other brands in high heat. As the final alternative to the best cooling mats for dogs listed above is this cheap dog gel cool mat from Slumber Pet. The company has several different sizes, which makes it one of the most affordable dog cooling mats out there for both small and large dogs. While no refrigeration is required, this one is designed specifically for pet owners to be able to freeze it for extra cooling effect. Whatever best dog cooling mat you pick, it's important to ensure that it always works well and cools off your dog effectively. You can always provide alternative ways to doggy cooling pads or in addition to them: dog pools, cooling fans, plenty of water and more.